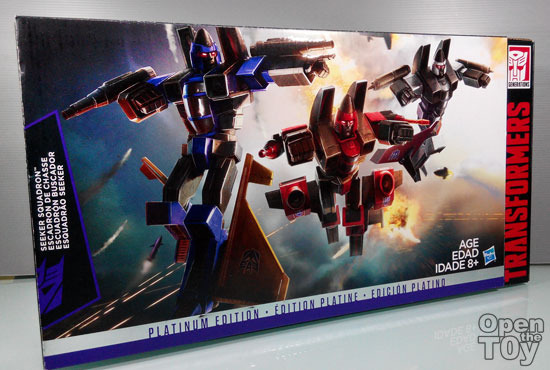 Today it's my pleasure to do a short review of the Transformers Generation Platinum Edition Seeker Squadron boxset by Hasbro. 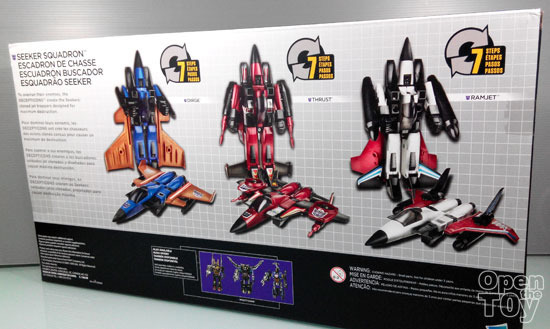 This set is for G1 collectors as this seeker Squadron are in G1 style for Thrust, Dirge, and Ramjet. All 3 convert in 7 easy steps from double-blastered robot mode to fast-diving drone mode.